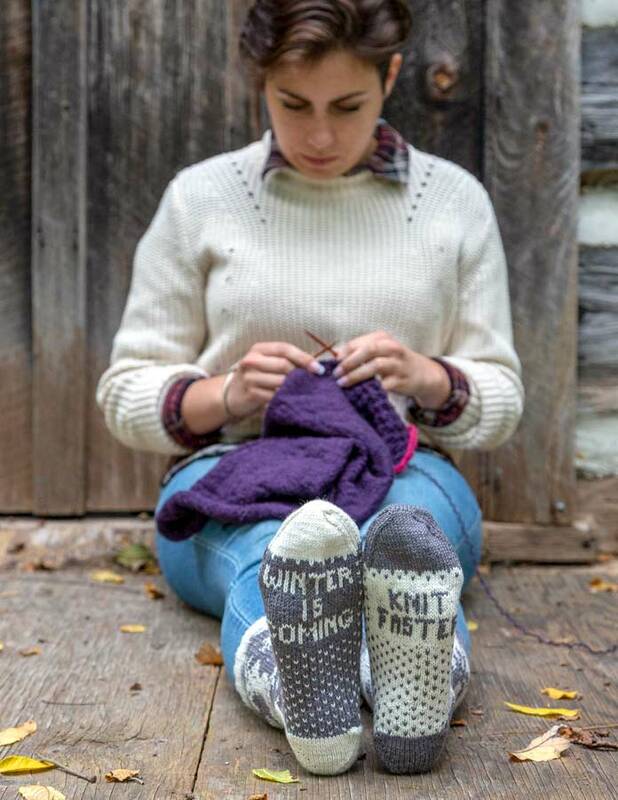 Winter is coming, knit faster Socks is a cheeky reminder of the approaching winter. What a way to sport this quote in an elegant grey and white colourway and reindeer. This is the third sock pattern in the Thoughtful Soles Series.